The ABS M4 Kit Porsche Cup is a derivative of the successful ABS M4 kit and specifically designed for Porsche 997 Cup and 991 Cup. 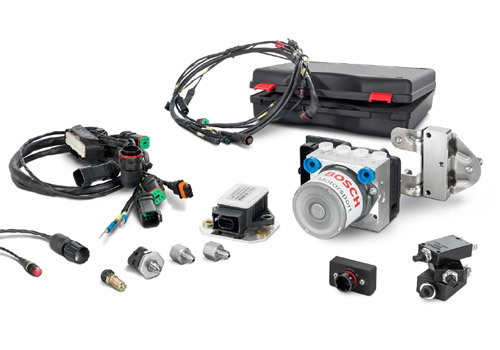 A vehicle specific wiring harness is included in the kit. Individual car parameters like e.g. vehicle weight, vehicle track, wheel weights, wheel circumferences, wheel base or number of increments can be calibrated with software free of charge. Please contact your Bosch Motorsport dealer for further information. We developed ABS M5 for the operation in front-, rear or 4-wheel drive vehicles. 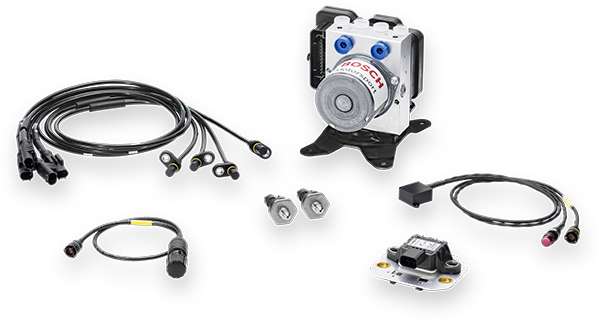 A vehicle specific wiring harness is included in the Kit. The ABS M5 is specifically adapted for motorsport use. Individual car parameters like e.g. vehicle weight, vehicle track, wheel weights, wheel circumferences, wheel base or number of increments can be calibrated with software free of charge.